•	Is the new No. 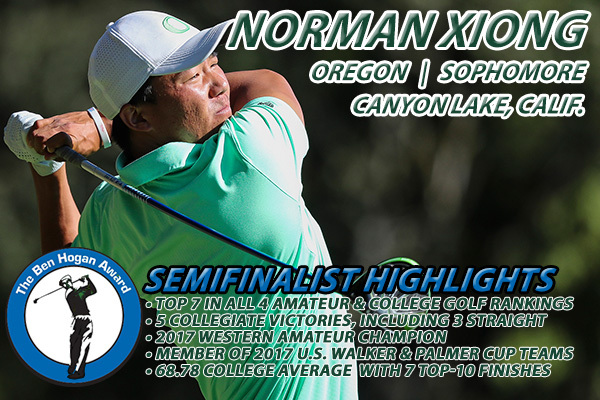 1 in the World Amateur Golf Ranking and is one of four players listed among the top 10 in all four major ranking systems—WAGR, Scratch Players World Amateur Ranking (No. 3), Golfstat Ranking (No. 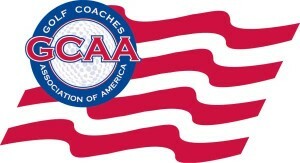 9) and Golfweek/Sagarin Ranking (No. 10). •	Tied for fourth place at the PGA TOUR’s FedEx St. Jude Classic in 2017, the highest finish by an amateur at the event since 1965. 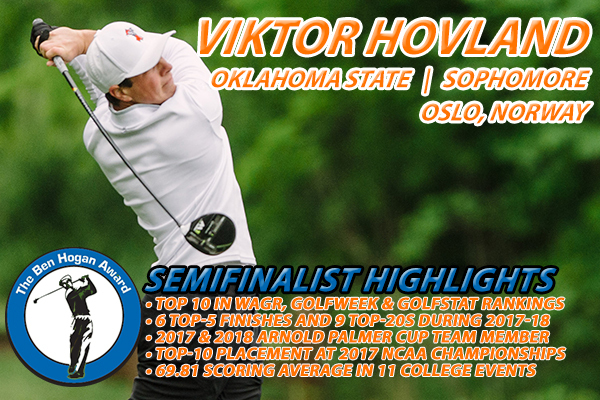 •	Was the 2017 NCAA individual champion, winning the event by four strokes with a 72-hole total of 277 (-11). 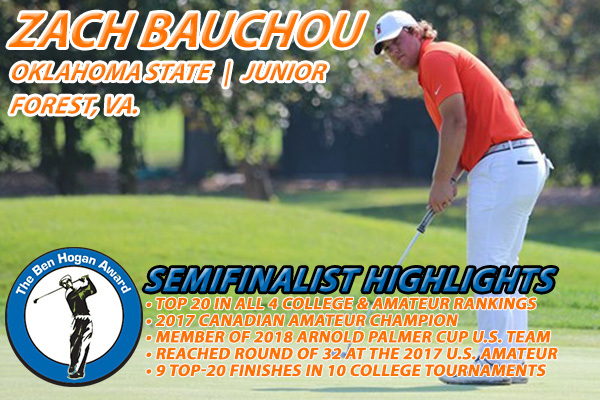 •	Reached the round of 32 at the 2017 U.S. Amateur, defeating then-No. 1-ranked amateur Joaquin Niemann. 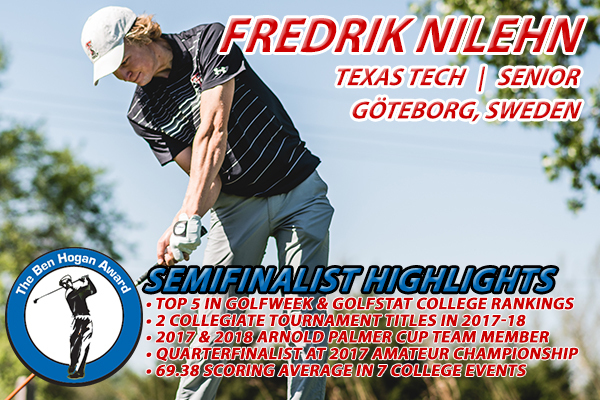 •	Won a pair of matches for victorious Team USA at the 2017 Walker Cup and will represent Team USA at the 2018 Arnold Palmer Cup. 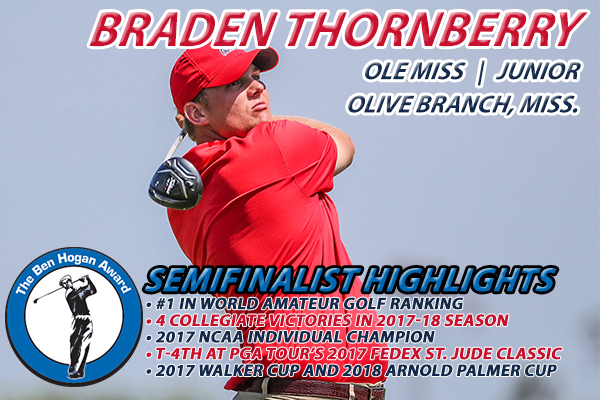 •	Also made the cut at the PGA TOUR’s 2017 RSM Classic (T61) and played in the 2017 Greenbrier Classic. 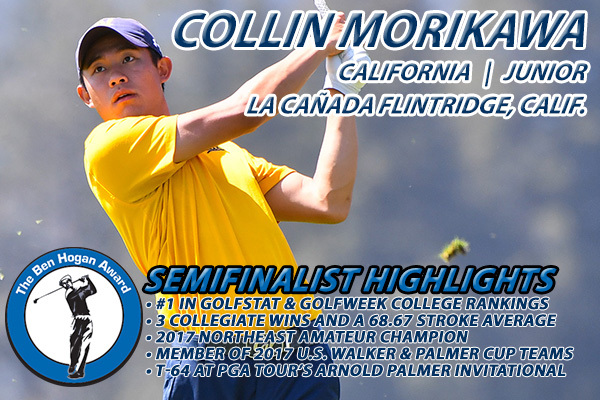 •	Claimed a victory in a playoff at the 2017 Sunnehanna Amateur. 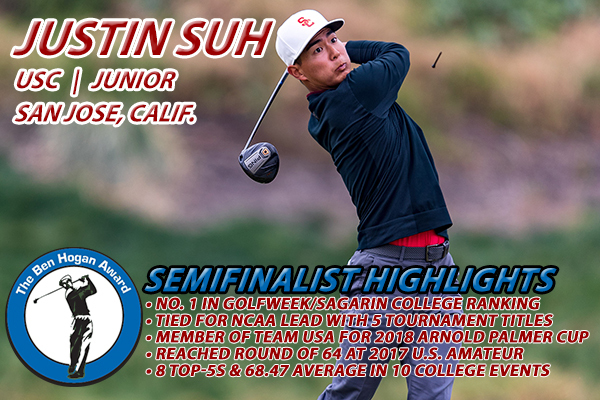 •	Had top-10 finishes at the 2018 Jones Cup (T8), 2017 Pacific Coast Amateur (T9) and 2017 Patriot All-America (T10). 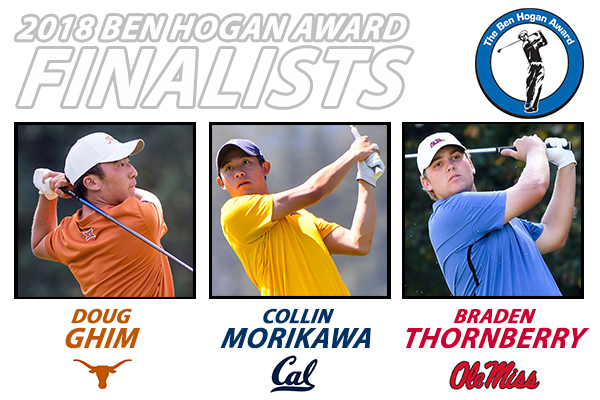 •	Has four collegiate victories this year, winning the Shoal Creek Intercollegiate, Franklin American Mortgage Intercollegiate, Hootie at Bulls Bay and Old Waverly Collegiate Championship. 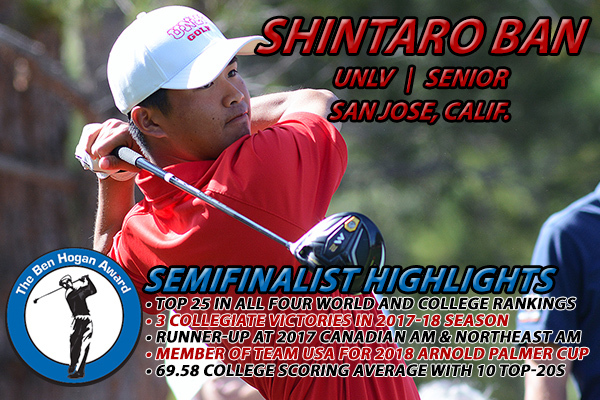 •	Owns seven top-5 finishes in 10 college events in 2017-18 and a 69.63 scoring average.